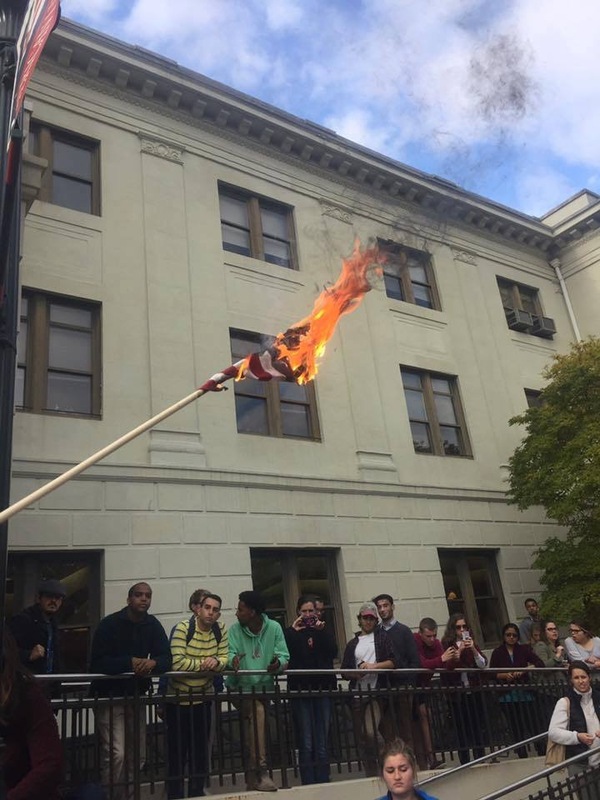 Students at American University in Washington, D.C. protested Donald Trump’s election victory on Wednesday by burning the American flag. Witnesses at the scene told The Daily Caller that the protest took place outside the Mary Grayson Center, the main student center on campus. Additionally, the American University police department was present at the demonstration, yet “just stood there and watched” as the flag burned. American University is holding a flag burning to protest Trump. It’s exactly that type of thing that got him to this point. AU isn’t the only school where students are protesting the election results. At Berkeley High School in Los Angeles, California, nearly half of the 1,500 students enrolled staged a walkout just before classes began at 9:00 am.